What Trends are Emerging in 3D Printing for 2019? The 3D printing industry currently exceeds $7.3 billion, with investors in metal additive manufacturing set to enjoy 21% growth – as per the Wohlers Report 2018. More machines are being sold, and more varieties are being made, with a plethora of new companies having been founded last year to comply with demand. The rising number of competitors means that quality is on the rise, with machines boasting new features that increase the scope of this technology and promote faster speed and lower purchase prices for machinery. 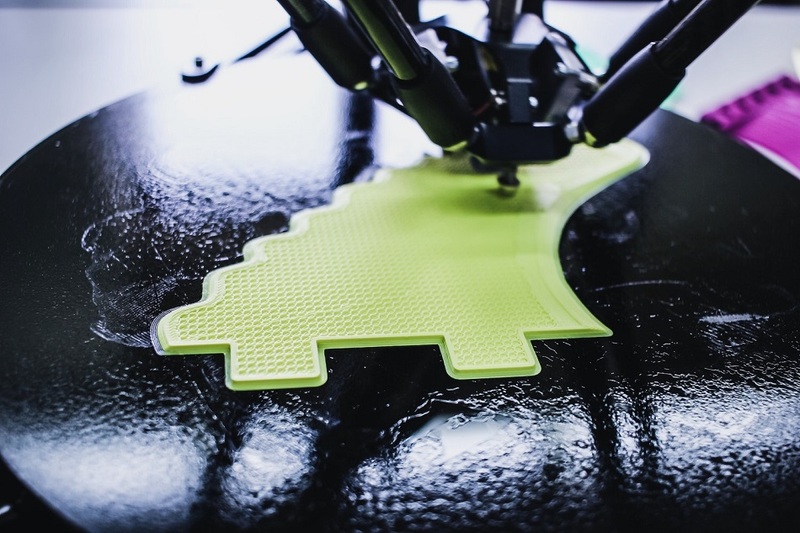 What are the hottest trends to watch out for in terms of 3D printing machinery? 3D printing in metal is one of the biggest recent technological advances in the industry and it promises to have positive benefits for a number of industries. Currently, 3D printing is already being used to create airplane seats that are 50% lighter than standard seats. Some industrial applications for metal include the aeronautical industry (NASA will be printing 80% of its rocket engines using this technology), jewelery (unique shapes can be created quickly and without danger of breakage), and the medical industry (3D printing is already being used to build crowns, though they will soon be used to make bridges and other components requiring fusion to metal). 3D printing technology may currently be used in the aerospace industry, but it is fast gaining popularity among the general public as well. Recently, a Chinese startup launched a Kickstarter campaign to manufacture a cheap printer for under $300. It is easy to see how from 2019 onwards, 3D printing will become more accessible and affordable, with average users making their own toys, shapes, and artwork. The sky’s the limit, of course; extending 3D technology to the average user holds great promise in terms of realizing its full potential. Imagine a factory in which various 3D printers are working on different items to automate and scale production. There will be greater integration between printers and software, as well as collaboration between companies in different industries. Automation in particular will reduce the number of repetitive tasks in factories. For instance, machines will be able to return unused materials to their own cartridge and use accessories such as robotic arms so as to perform a wider array of functions. Another example of how automation can be used to advantage lies in the construction business. Companies are already printing entire houses, layering bio-plastics and other materials together to create different parts of a home which, when put together, can potentially help solve the housing crisis by creating cheaper, more sustainable, bespoke homes for people who urgently need homes – as is the case with areas that have been devastated by natural disasters. Affordable 3D printers for home use, more refined applications of 3D metal printing, and automation/integration with software are just a few emerging trends in the 3D printing industry, but there are many more. From prototypes that are also fully functional components of cars and other machines, right though to the printing of shapes that are not possibly with subtractive manufacturing, 3D printing is holding great promise in a plethora of industries, both art- and technology-based.